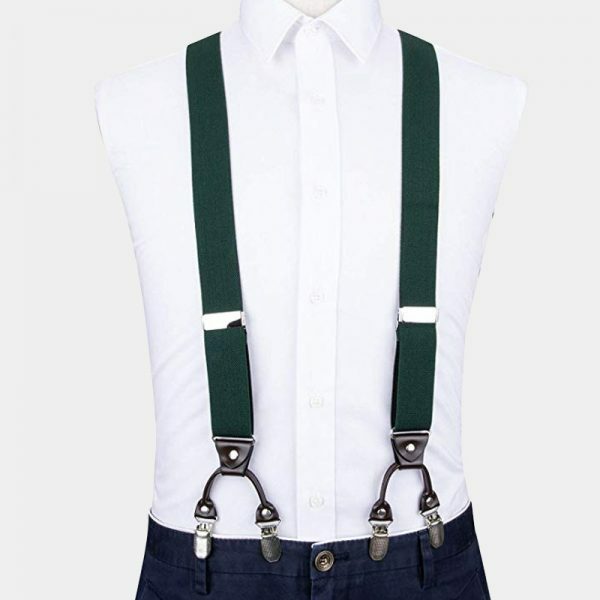 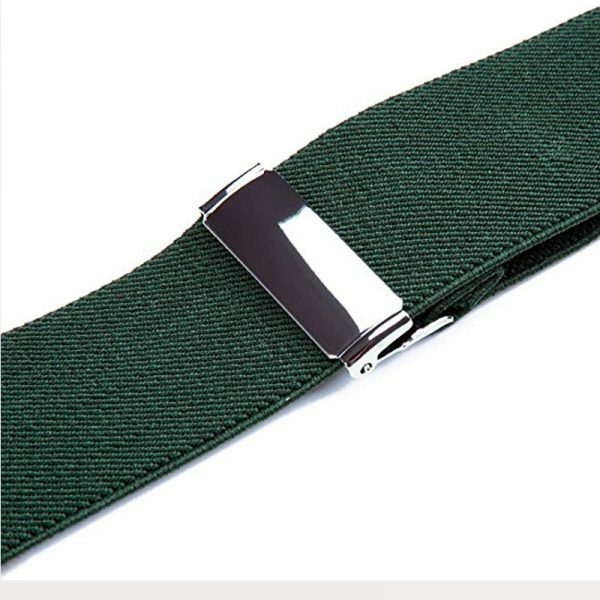 Your class and style show through whenever you wear these gentleman’s hunter green double clip suspenders. They are a must-have item for any gentleman’s accessory collection. 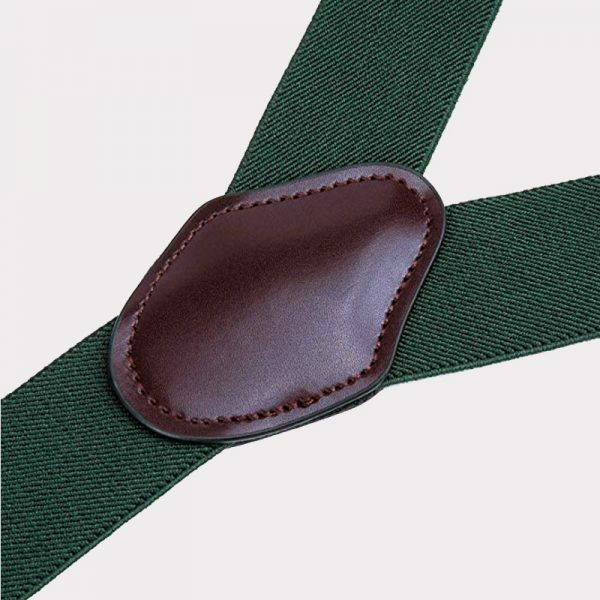 The earthy green color looks fantastic with business as well as casual attire. 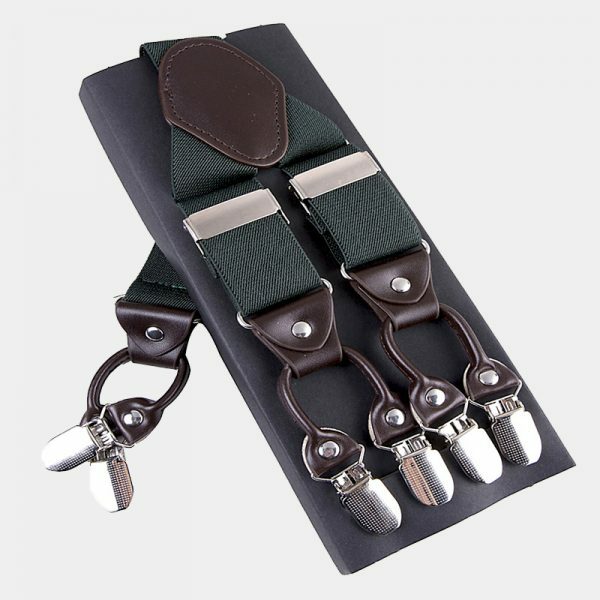 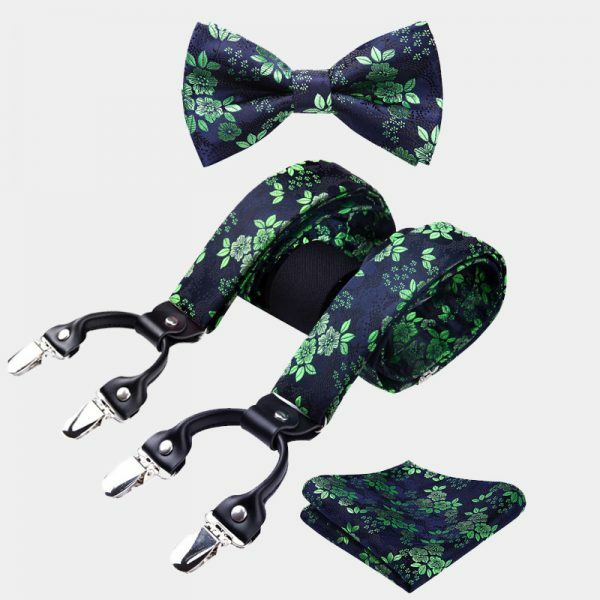 These hunter green double clip suspenders also look great when paired with tuxedos or special occasion attire. 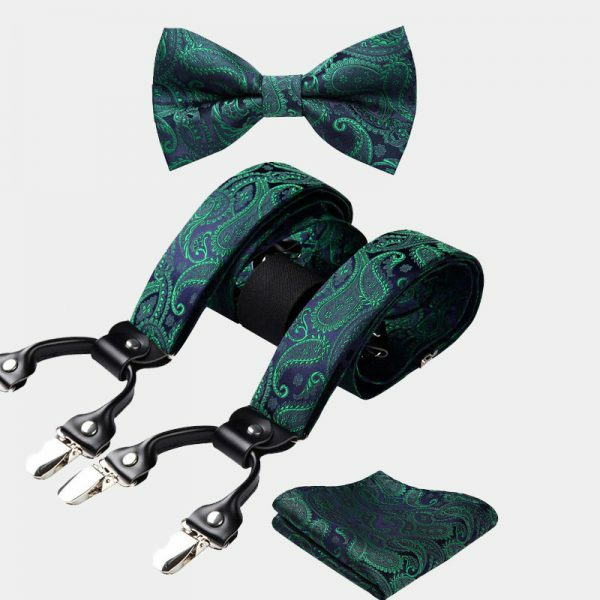 Looking sharp and pulled together is easy with these attractive gentlemen’s suspenders. 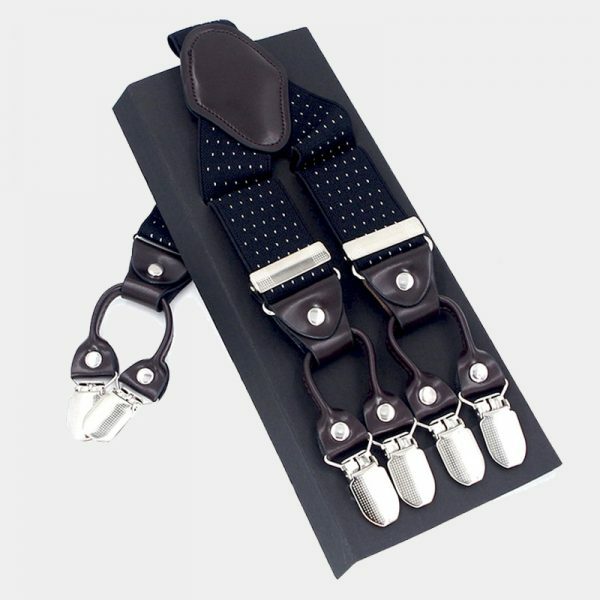 Your wardrobe does the talking for you with these beautiful double clip suspenders. 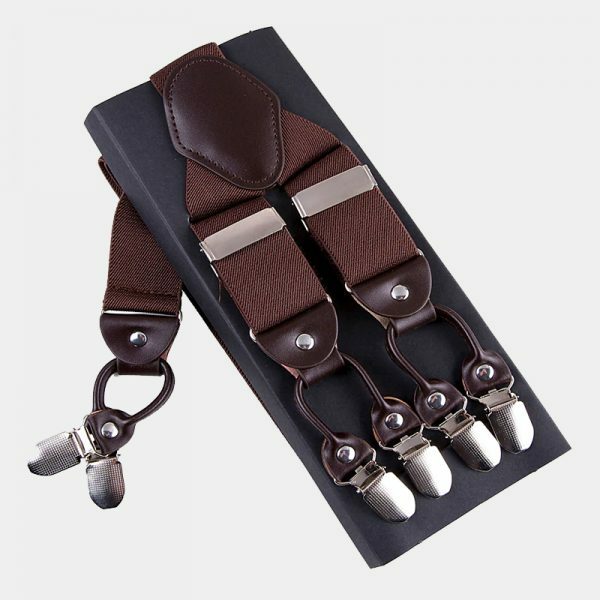 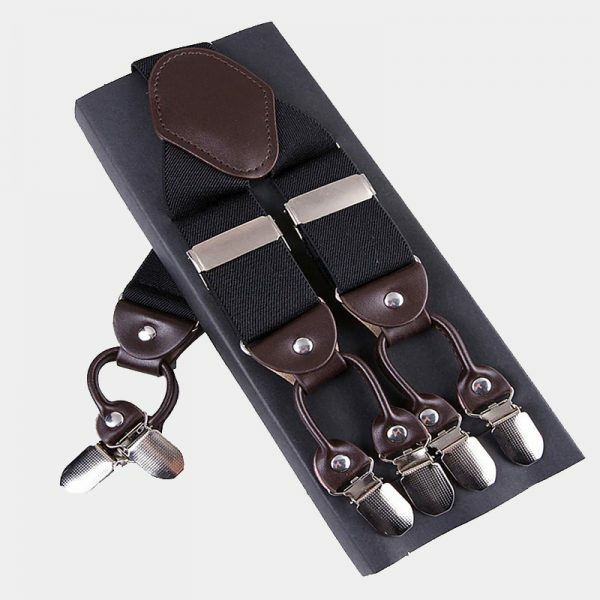 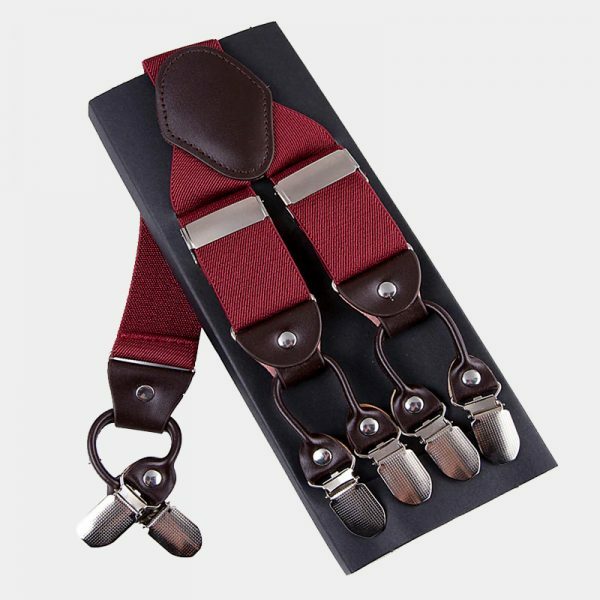 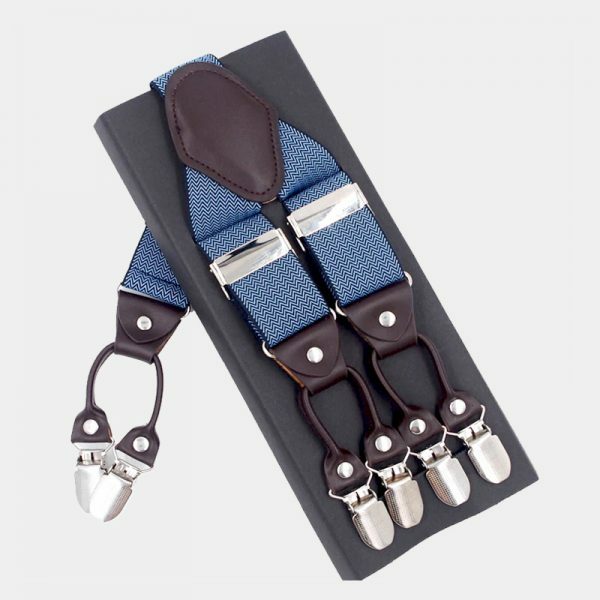 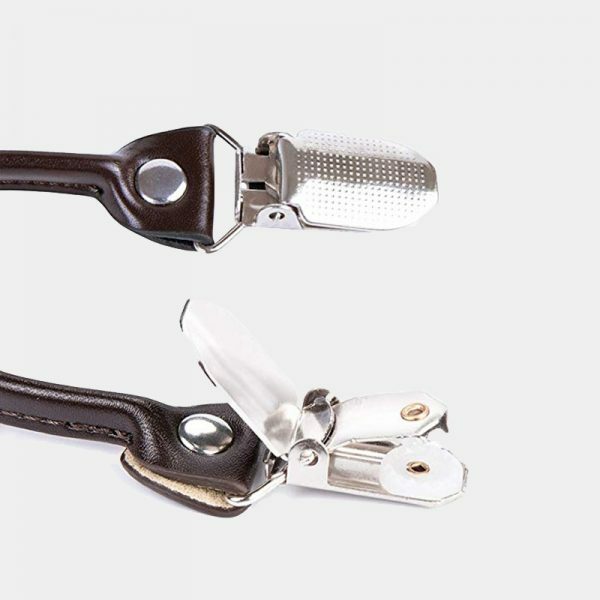 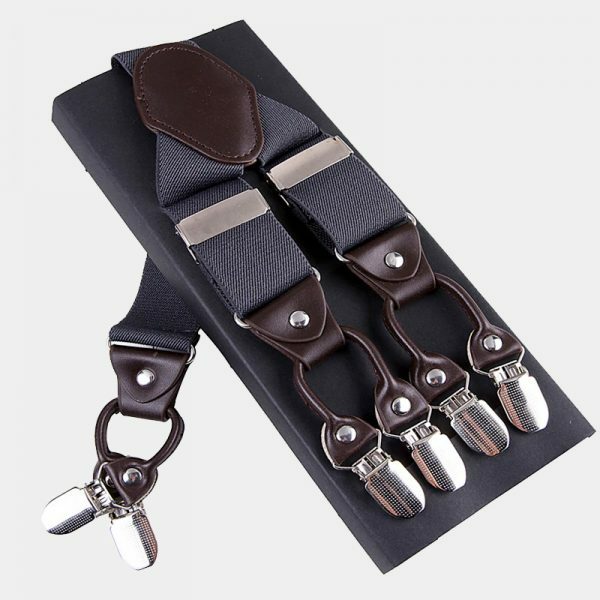 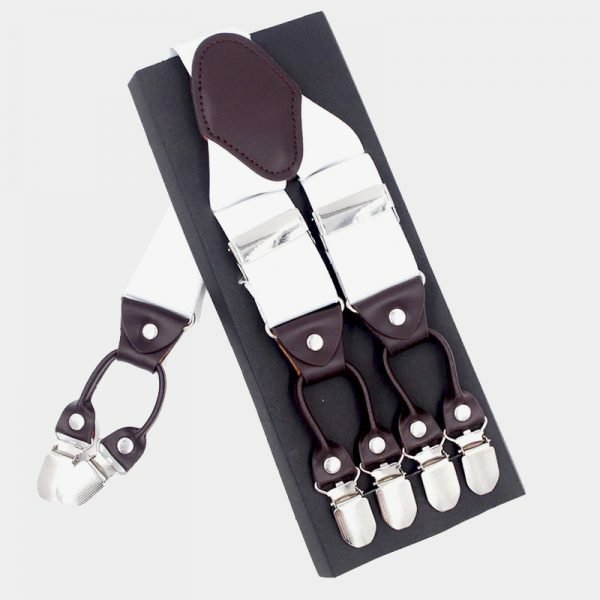 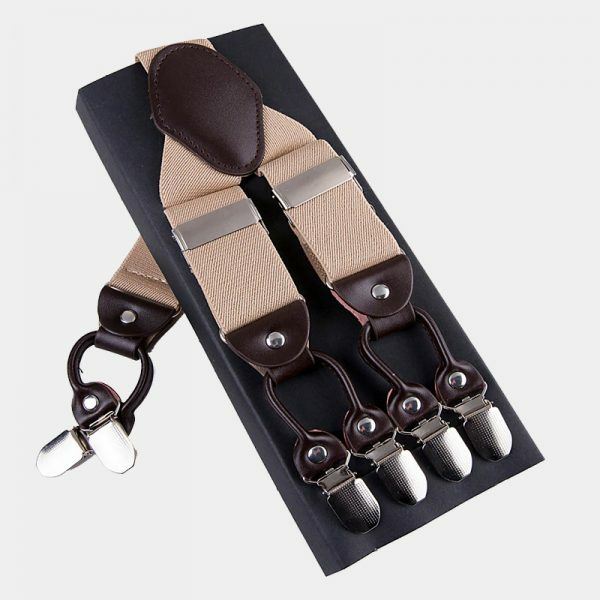 Top-quality materials are used to carefully hand make these dual clip men’s suspenders. 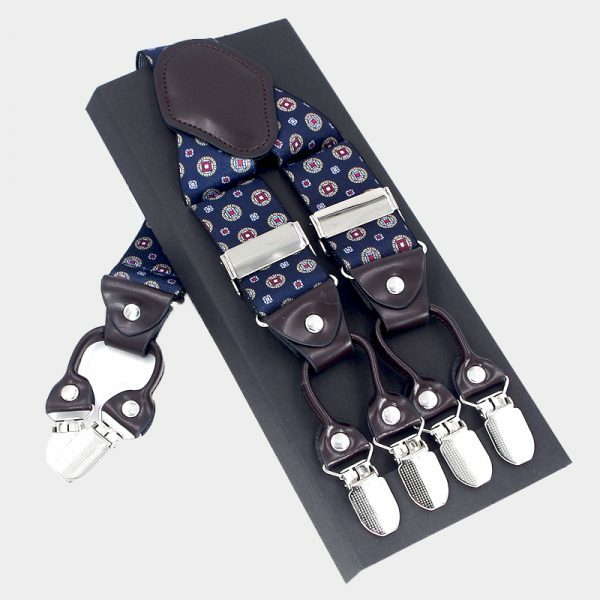 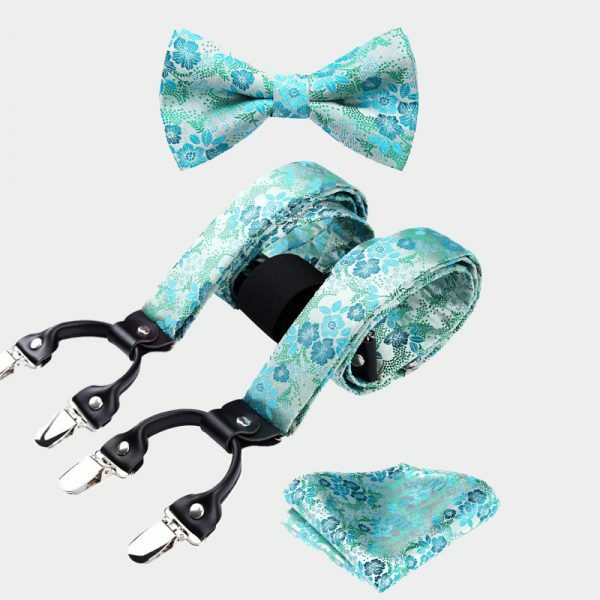 Not only are these men’s trouser braces strong and soft, but they also adjust easily. 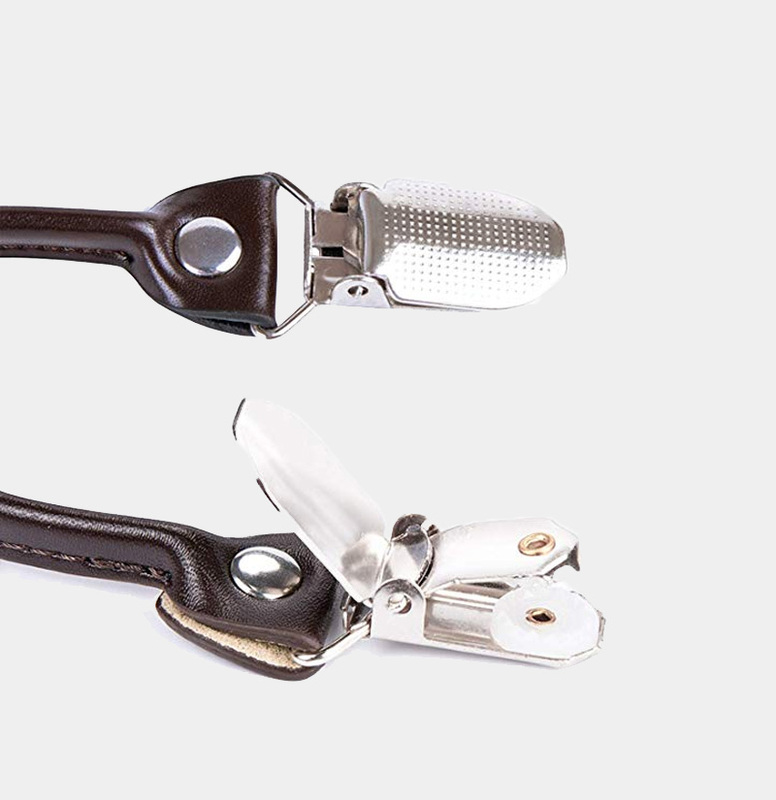 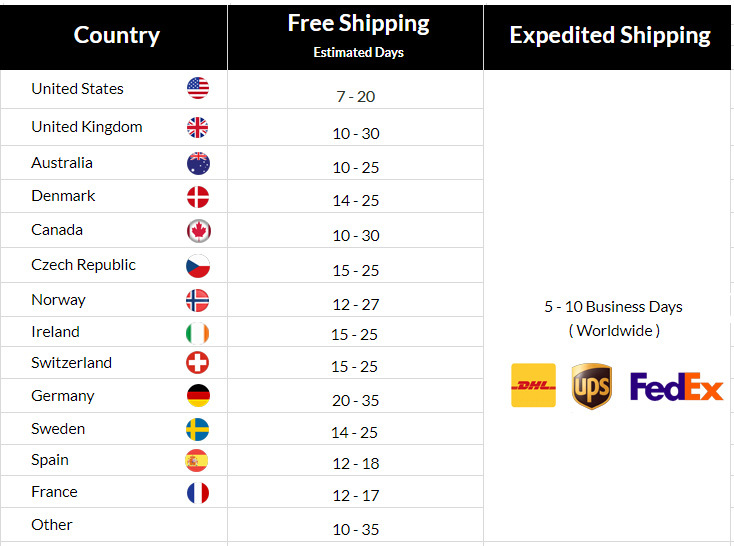 In addition, the six sturdy clips have non-slip grips that stay exactly where you put them. 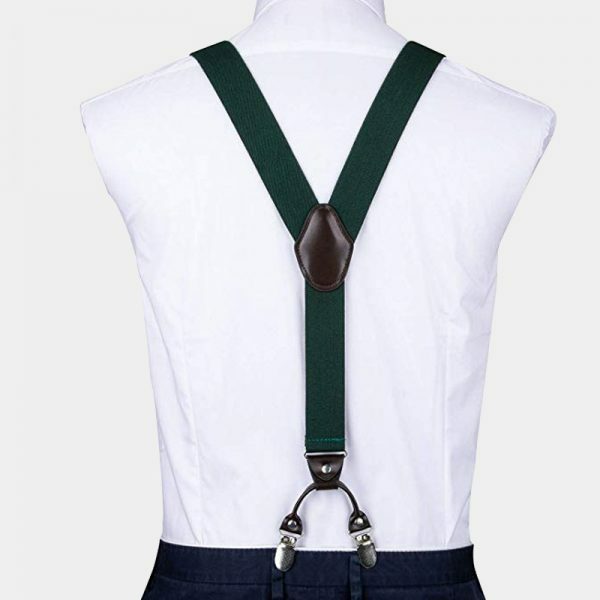 You will never have to worry about keeping your pants up. 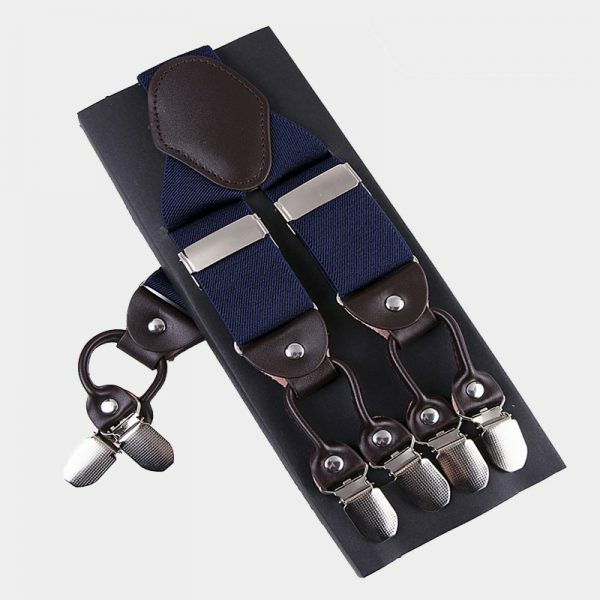 These classic accessories come handsomely packaged in a strong and sturdy box. So they make great gifts for the holidays, birthdays, and more.